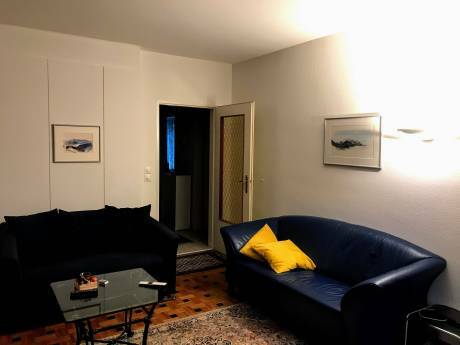 Apartment is on the top floor of the building and has two floors, on the first floor is bedroom + bathroom with toilet / shower + kitchen and living area with a fireplace and a large balcony circling the entire apartment. On second floor there is a second bedroom with attached bathroom with toilet / shower. Great views of Titlis and the famous Laub ski-run. Garage and extra outdoor parking space available. Skiroom and garage for mountain-bikes. We are a family of four, our kids are 11 & 13. 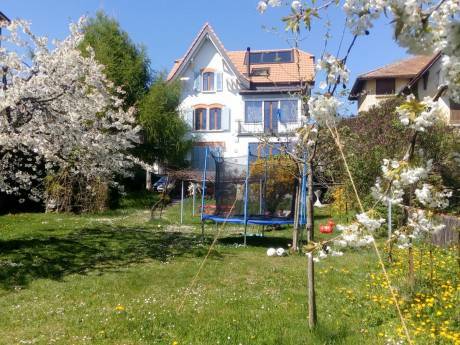 We live in Zug and use the apartment weekends and select weeks. Short term looking for a place to stay in London 8-15 October, for next summer (2017) we would ideally look to exchange for a sailing yacht anywhere in the world. But anything close to any ocean is interesting. Apartment in the center of Engelberg, one of the main alpine-resorts in the Central Alps. In the winter there is walking distance (or bus if you are tired) to slopes on Titlis Mountain. See www.engelberg.ch for more info or slopes and lifts. In the summer great hiking & biking. Outdoor pool in walking distance and golf course (4 km) close by. 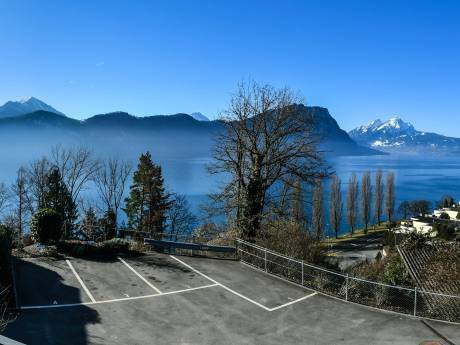 Engelberg is easily reached by train from Zurich Airport and apartment is only a few hundred meters from the train station.